Often we pick our sleeping gear (you know, the thing we put under our head) without thinking twice. And then we complain about poor sleep, neck kinks, and goodness knows what else. If this sounds like you, spend some time learning about pillows and pick one that meets you needs perfectly. Pillows come in different materials, one rather more popular choice being feather filled. Read on to learn about our picks for the best feather pillows on the market. Also called Down’s cheap little brother, feather pillows offer some characteristic qualities of down pillows at a considerably less price. Just like down pillows, they are very light and luxurious and can be easily shaped for better support and comfort. These pillows counter to the sleeper’s body fairly well. In fact feather pillows offer better support than the down ones. You can scrunch a feather pillow to provide support where you need it. Feather pillows also are durable (another similarity they share with down pillows) and can easily last for a decade with reasonable care. These pillows can be machine washed and dried. Lastly, they are very light. Feather pillows are not as fluffy as their more expensive counterpart. The not-so-good ones among feather pillows can sink in too deeply when you lay your head over it and as a result fail to provide adequate support. The hard quills can poke through, more so if there is no double stitching or protective layer. To a certain extent, this problem exists in down pillows too, as they actually contain both feathers and down feathers, which, instead of quills, have a round centre. The problem of quills poking through, however, is more in feather pillows because they are completely made of feathers. 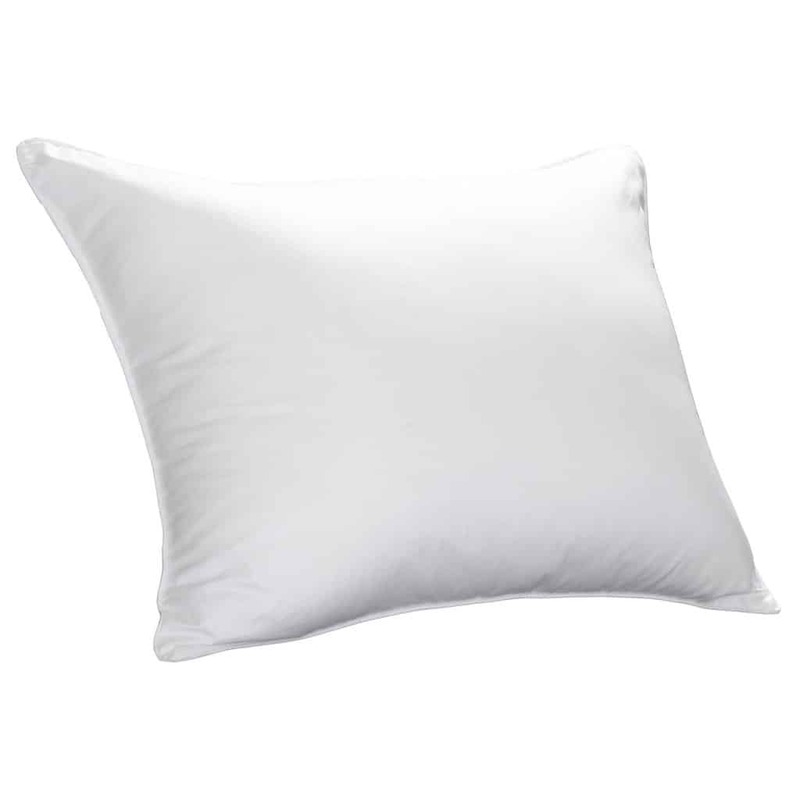 Feather pillows usually contain a plastic layer, which prevents quills from jutting out but creates a new problem. Every time you move your head, it creates a crunching sound. Light sleepers can have a slightly difficult time using a feather pillow because of this. These pillows are not very breathable. Those who are sensitive to even little extra warmth under the head may find themselves flipping the pillow a few times in night, especially if the room is warm. Well, while a feather pillow has its share of drawbacks, it nevertheless offers some important advantages and can be a good choice if you can live with an odd feather poking out or with extra warmth that it might generate. According to a report published on the official BBC website way back in 1999, feather pillows are not as bad for asthma sufferers as synthetic pillows. The finding contradicts the then general accepted wisdom, prevalent even today to a great degree, that man-made pillows are better for asthmatics than pillows filled with natural materials. 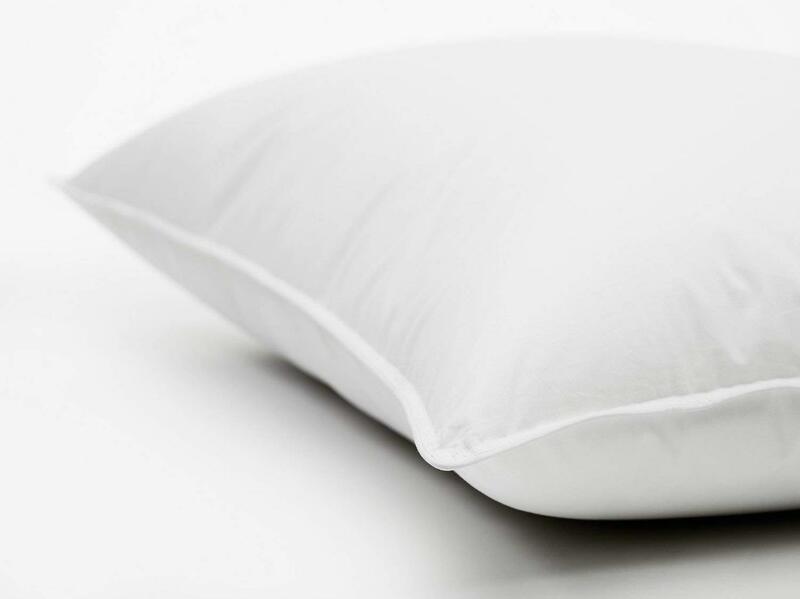 The study, led by researchers at Wythenshawe Hospital, Manchester, stated that synthetic pillows contain seven to eight times more allergens than feather ones. In the study, researched looked at fourteen sets of synthetic and feather pillows used on the same bed for over twenty-four months. They are more expensive and usually much better than feather pillows. They are moldable, light, soft, and cuddly. Their softness, however, can sometimes also be a disadvantage, especially if good support under the head is what you want most. Another drawback is that they are not easy to clean. These pillows are medium-firm and do not retain heat, a good option for those who sleep hot. Another benefit is that they rarely contain allergens. On the flip side, these pillows can become flat as time passes. They also do not contour so well to the sleeper’s head and neck. No material contours to your body as well as these, and that’s why they provide best support. They are also very durable and can easily last a decade or more. However, they can prove a little difficult to use in the beginning because they are firmer than most other materials. Also they smell, rather too strongly, when new—and sometimes even later. These pillows provide good support, are very breathable, and last a long time. 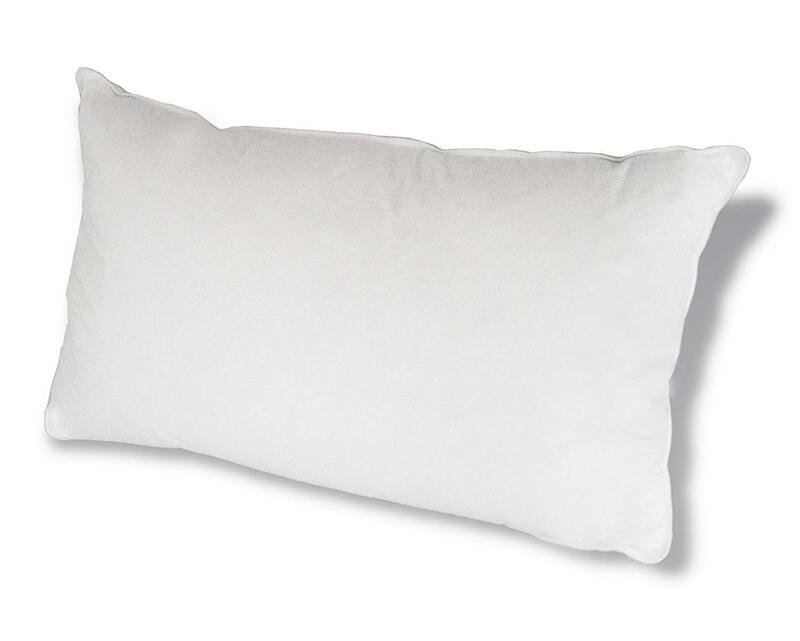 As buckwheat hulls are 100% natural, these pillows, just like feather and down pillows, are a good option for all environmental conscious buyers. Two main drawbacks are they are heavy (a 20 x 26” buckwheat pillow weighs almost 8 pounds) and make a rustling noise when you move. This down pillow is soft, moldable, and comfortable. You might say what’s so good about this. Every decent down pillow should have these three standard qualities of down pillows, and you, of course, would be right. However, unlike some down pillows, this pillow also has a consistent firmness—and that’s a good thing. The Down Etc pillow is fluffy yet quite firm. It provides good support to the head and neck. The firmness is of medium intensity, which works for most users but not all. Those who are used to really firm pillows might find the pillow too fluffy. The pillow comes with a double stitching to ensure you don’t feel feathers poking at your skin when you lie on it. Another good thing is that it is hypoallergenic. Asthma sufferers who so far have stayed away from down pillows but have always wanted to try one might want to check out this pillow. This pillow is not too squishy or firm. It feels just right. It gives you good support and also is comfortable. Those with a neck pain might want to try this out. Another plus point is its size. You’ll not find this size easily in feather down niche. I do not know the reason, but my online search didn’t throw many names when I searched specifically for 12” x 20” feather pillows. This size might be ideal for travelling or those who like smaller pillows. However, those who are used to larger pillows may find it not big enough. The cover is 100% cotton. The manufacturer has not listed the thread count of the fabric, but, nonetheless, it is pretty soft and comfortable. It is also washable. For the price tag it carries, this pillow appears to be a good deal, especially if you are looking for a size smaller than the regular. This pillow is really soft (true to its title). You might want to try this if you prefer soft pillows that gently cradle your head. Those who prefer medium firmness or more, on the other hand, may find it too fluffy. Its 450 thread count cover is made of 100% cotton. What this basically means that it is comfortable and promotes air circulation. You will not feel warm under your head while using it. The Cuddledown Pillow is hypoallergenic, which is good news for allergy and asthma sufferers with a liking for down pillows. Now they have one more option to choose from. And another good thing, or maybe not, depending on your preference, is that it is made in the USA. All in all, this is a decent high-end pillow. It is soft, comfortable, and has a few other good features. Available in all three firmness category, soft, medium, and firm, The Hotel Collection Pillow is suitable for all types of sleepers. Soft is suitable for stomach sleepers, medium for back sleepers, and firm for side sleepers. The pillow cradled my head beautifully (I opted for the medium firm one) and yet provided good support. I could scrunch it anyway I wanted. Because of the good support it provides, it pillow might prove helpful if you have neck pain. One good thing is that the pillow is double stitched. Even after a few weeks, I didn’t feel even a single feather poking me. With 400-thread count, the cover is soft and comfortable. It also helps the pillow breathe well. You are not likely to feel warm under your head. The Hotel Collection Pillow is hypoallergenic. If you have asthma or are prone to allergies, you can safely use it. Those who like soft feather pillows and have budget constraint might want to check out this product. It is soft and fluffy and certainly not expensive. However, sleepers used to medium firm or firm pillows might not be comfortable using it. These pillows, thanks to their softness, work well as a backrest while reading on the bed or couch. Because of the same reason they make for a good bottom pillow. Even if you find them too soft, you can still use them as a bottom pillow if you use two pillows at night. The cover is 100% cotton with 240 thread count. It is comfortable and soft. It also helps the airflow, ensuring you don’t feel warm under the head. One drawback is its strange smell which goes away slowly, at least not before a couple of weeks. Another thing missing is double stitching. While I didn’t feel any quills poking in the two weeks I used them, without a double stitch, this is something that might happen.